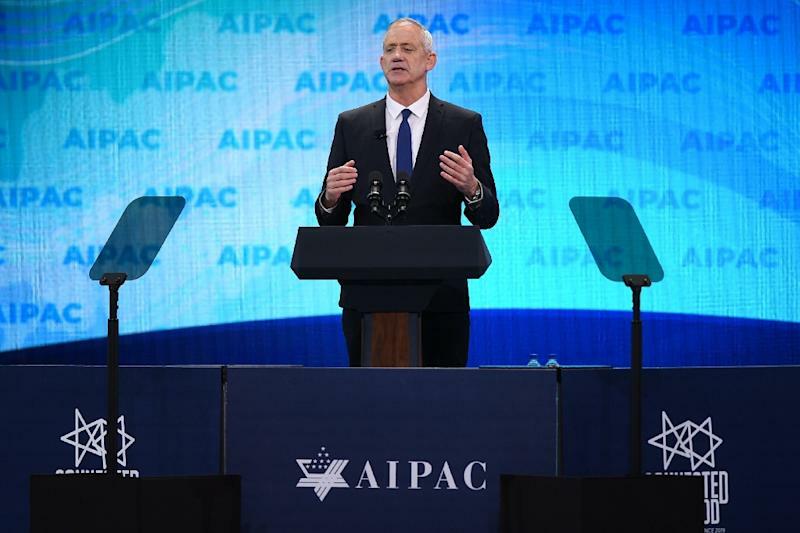 Washington (AFP) - Benny Gantz, who is posing a stiff challenge to Israeli Prime Minister Benjamin Netanyahu in upcoming elections, said Monday he would not hesitate to use force on Iran to contain the regional rival. The centrist former military chief showed no daylight with Netanyahu on peace and security matters -- but won standing ovations from the American Jewish audience by raising domestic issues, including promising more inclusiveness at the Western Wall in Jerusalem, Judaism's holiest site. Gantz said that Jerusalem -- also claimed by the Palestinians -- would always remain Israel's "united and eternal capital" and said, without ruling out a Palestinian state in the West Bank, that the Jordan Valley will "always" be Israel's eastern security border.